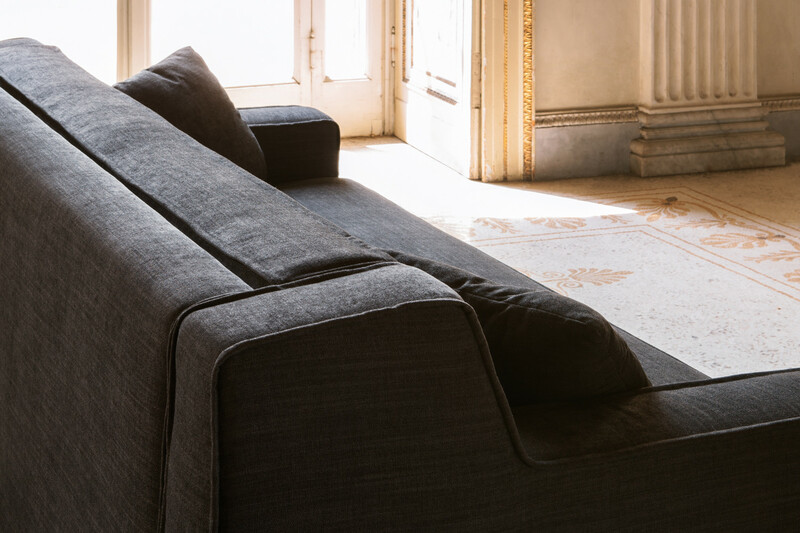 Larry is a 3-seater sofa with metal base composed of a front and a rear bar with small feet. Larry is characterised by seat and backrest composed of a single one-piece cushion. These two compact supports guarantee a great comfort and allow to sit or lie down on the whole surface without feeling seams or empty spaces. 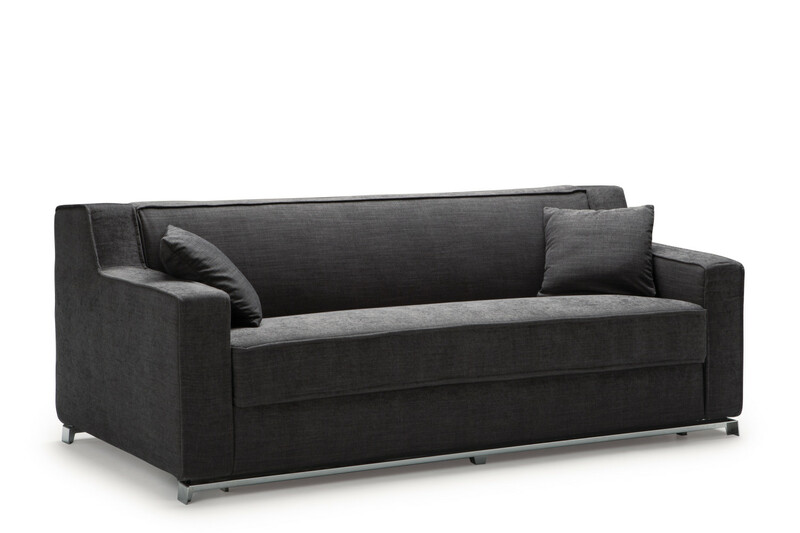 This 2 or 3-seater linear sofa is designed for modern sitting rooms furnished with taste and attention to detail. 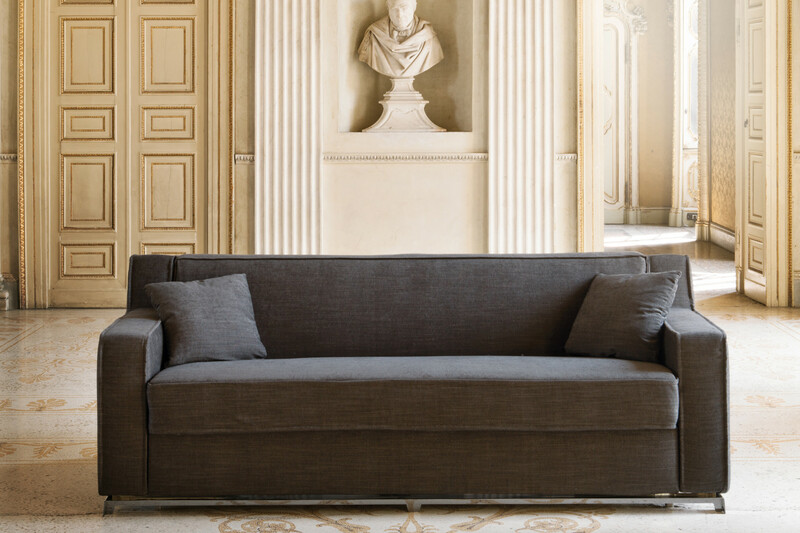 Larry sofa is available in fabric, leather or eco-leather in a wide range of colours displayed in the samples page. 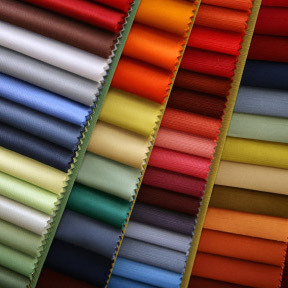 The sofa cover can be removed and washed according to the specifics of each material. 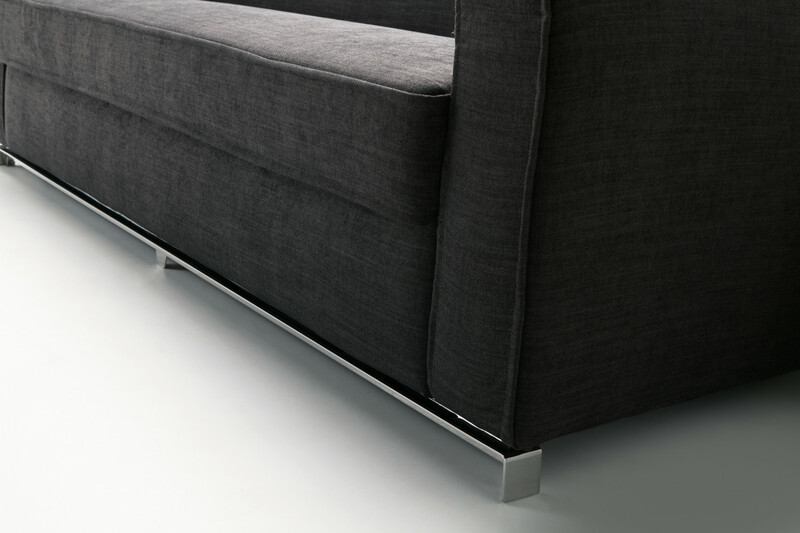 As a standard Larry sofa is equipped with a chromed metal bar with feet on the front. The same bar can be also placed on the back. Mechanism or structure: high resistance furniture tube, oven coated with epoxy powders. Soft seat with elastic webbing. Seat: 35 Kg/m3 CMHR expanded polyurethane, covered with 280 gr/m2 thermo-bonded needled fibre and mm 2,5 quilted interliner. Backrest: 25 + 40 Kg/m3 multiple density expanded polyurethane covered with 280 gr/m2 thermo-bonded needled fibre and mm 2,5 quilted interliner. Armrests: 40 and 30 kg/m3 expanded polyurethane, covered with interliner combined with 200 gr/m2 resin fibre. Structure: 30 kg/m3 expanded polyurethane, covered with interliner combined with 200 g/m2 resin fibre.